Are you considering heating your tiny house with wood? 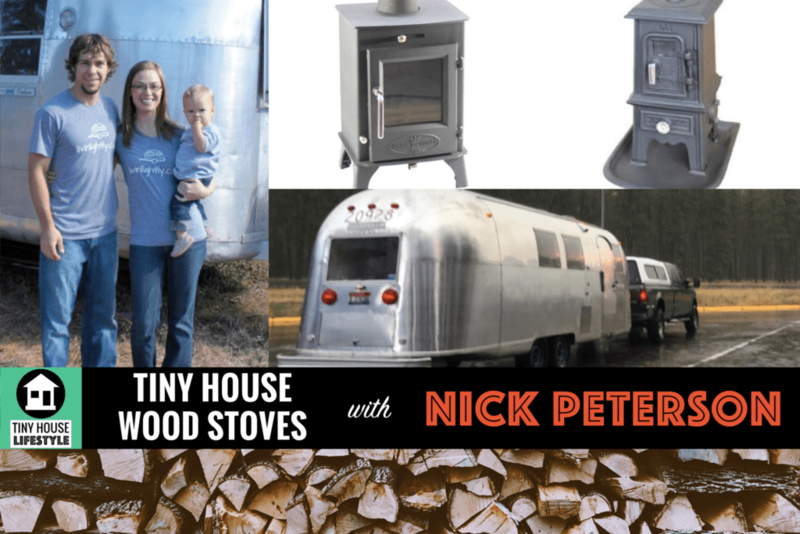 My guest today is Nick Peterson from TinyWoodStove.com. We’ll talk about what the common installation mistakes Nick sees with tiny house wood stoves, how do you handle keeping your house warm when the stove goes out, installation tips, and more. When Nick Peterson couldn’t find an affordable wood stove for his airstream trailer, he took a welding class and started tinkering. He settled on importing a stove from the UK but couldn’t find the proper parts to do a safe installation. So like any good entrepreneur, Nick decided to start importing his own stoves, and introduced the tiny house world to the Pipsqueak. How did Nick start TinyWoodStoves.com? What are some common tiny house wood stove installation mistakes? How do you handle keeping your house warm when the wood stove goes out? What else can you do with wood? Cook? Hot water? Can you burn pellets in a wood stove, and would you want to? Can you install your own wood stove? What should you use as a stove surround in a tiny house?